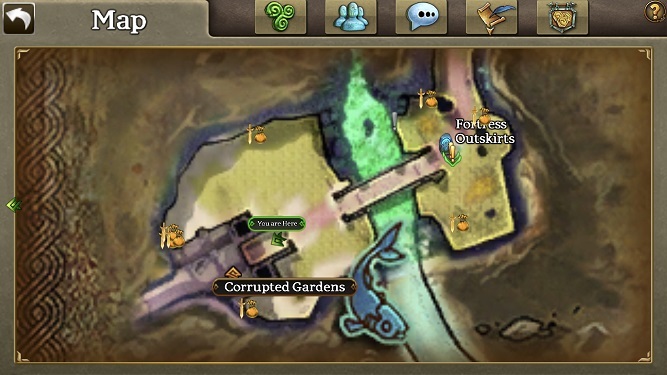 The Corrupted Gardens can be very confusing knowing where to go next for the quest chain. This guide will tell you exactly where to go and what to do for the Lich faction quest chain in the Corrputed Gardens, starting from the Otherworld. Description: Farrach Baiteal has asked that you recover the Stolen Disc Fragments from one of the Blackstone Assailants in The Otherworld. These Fragments are needed for the Wardens to rebuild the seal on Crom's Prison, and they can't proceed without them. 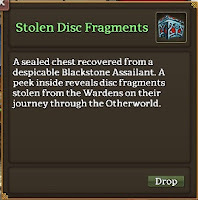 Step 1: Recover the Stolen Disc Fragments from one of the Blackstone Assailants in The Otherworld. Step 2: Return the Stolen Disc Fragments to Farrach Baiteal in the Otherworld. Description: Farrach Baiteal has offered you a place within the ranks of Wardens who are battling to reseal the defenses around the prison of Crom, in order to prevent his escape. He must not be allowed to break free, the safety of the world hangs in the balance. Step 1: Travel through the Gates of Rath Parras and search for Warden Aisling to join in their struggles. 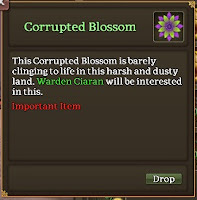 Description: Warden Ciaran asks that you hunt for further examples of Crom's taint upon the plant life of the Corrupted Gardens. Scouts have reported unbelievable stories about the plants in the gardens, you should seek out the truth. Step 1: Defeat five of the Creeper Plants in the Corrupted Gardens. Step 2: Recover five Poisoned Thorns from the Creeper Plans in the Corrupted Gardens. 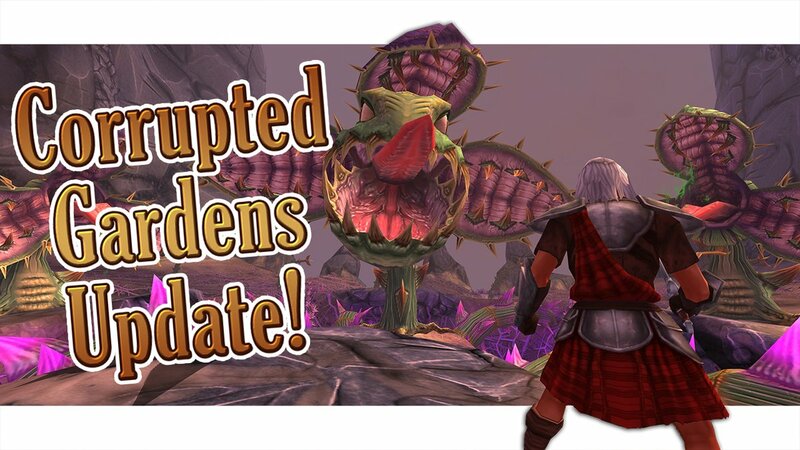 Description: Warden Ciaran has told you to speak with Warden Arlen to learn what he has discovered about the Corrupted Gardens. Step 1: Speak with Warden Arlen about the history of the Corrupted Gardens. 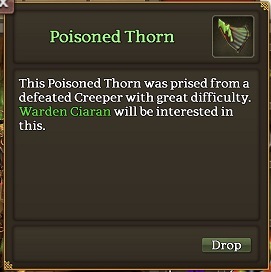 Description: Warden Arlen has tasked you with learning more about the forces of Liches and Reavers within the Corrupted Gardens. Step 1: Speak with Captain Bredon about the Reavers and the history of the Corrupted Gardens. Step 2: Speak with Arcanist Thuzian about the Liches and the history of the Corrupted Gardens. 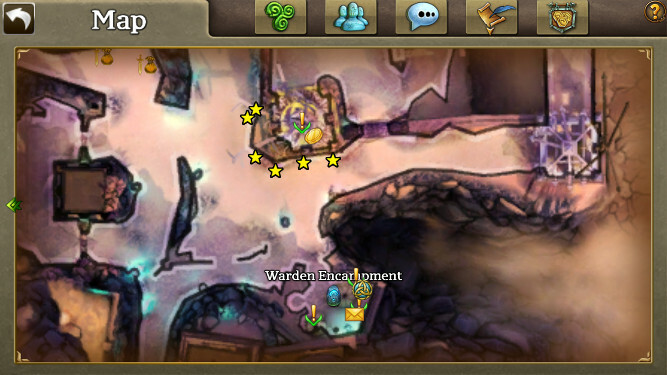 Step 3: Return to Warden Arlen to tell him what you have learned. Description: Arcanist Thuzian has requested that you steal an Ossified Heartstone from the Reaver forces. It should be hidden near their territory in the Southwest of the Corrupted Gardens, but will be well guarded. Step 1: Steal the Ossified Heartstone from the Reaver Forces. It should be hidden in their territory to the Southwest of the Gardens. 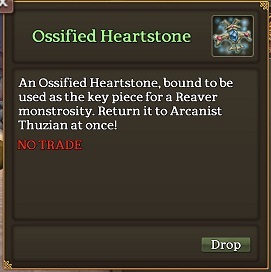 Step 2: Return to Arcanist Thuzian with the Ossified Heartstone. 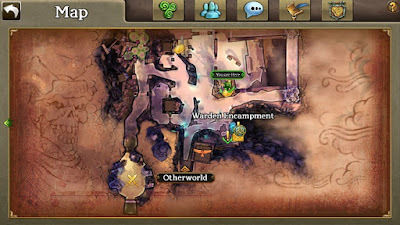 Description: Arcanist Thuzian wants you to travel to The Otherworld and defeat Lieutenant Rajaxx, the Reaver who has broken free of the conflict in the Corrupted Gardens. Step 1: Seek out and defeat Lieutenant Rajaxx in the Otherworld. 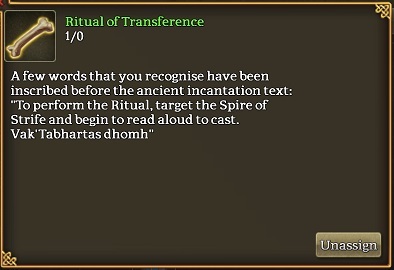 Step 2: Return to Arcanist Thuzian with news of Lieutenant Rajaxx's demise. Action Item: Get to Illustrious (3) reputation with the Lich faction. 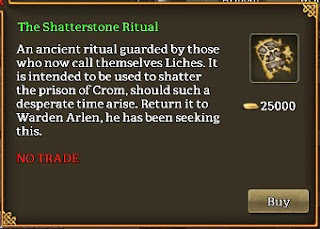 Description: You have earned enough trust with the Liches to acquire their key to Crom's Prison, but you still need to purchase it from their quartermaster. Barter with Quartermaster Razzah to obtain the Shatterstone Ritual, then return to Warden Arlen with the object. Description: The Blackstone have secured the entrance to Rath Parras, making their presence known. Recover a Blackstone Missive, carried by low-ranking members of the Blackstone Cabal in the Corrupted Gardens, and return it to Warden Arlen at the Base Camp. Step 1: Recover a Blackstone Missive from a low-Ranking member of the Blackstone Cabal in the Corrupted Gardens. Step 2: Return the Blackstone Missive to Warden Arlen at the Base Camp. 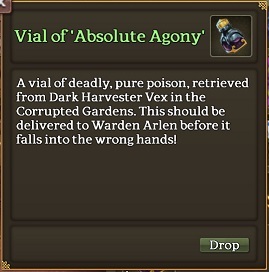 Description: Seek out and defeat Potionmaster Vex i nthe tainted valley at the heart of the Corrupted Gardens, and recover a sample of his "Absoolute Agony" poison before it is passed out to the rest of the Blackstone forces. Step 1: Defeat Dark Harvester Vex in the tainted valley at the heart of the Corrupted Gardens. 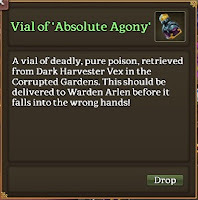 Step 2: Recover a Vial of 'Absolute Agony' poison from Dark Harvester Vex. 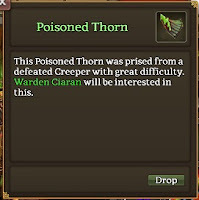 Step 3: Deliver the Vial of 'Absolute Agony' poison to Warden Arlen in the Base Camp. Description: Travel to the northwest of the Corrupted Gardens and clear out the Blackstone forces and their Corrupted Obelisks around the entrance to Rath Parras. 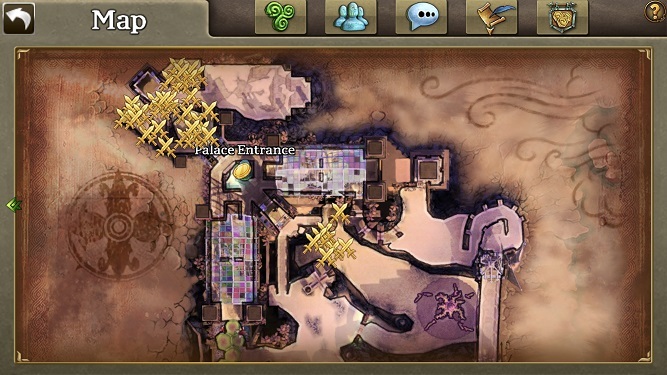 Step 1: Defeat any fifteen members of the Blackstone Cabal in the Corrupted Gardens to thin their numbers. They can mostly be found around the entrance to Rath Parras. Step 2: Destroy three Corrupted Obelisks in the Corrupted Gardens to prevent the Blackstone from being bolstered by their dark powers. 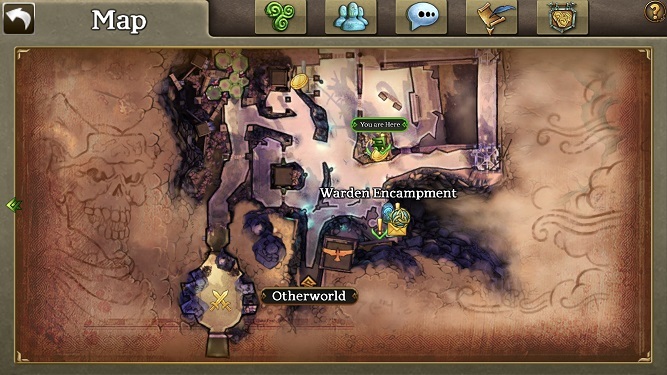 Step 3: Return to Warden Arlen at the base camp and inform him that his task is complete. Note: You can now get the weekly faction boss quest now. 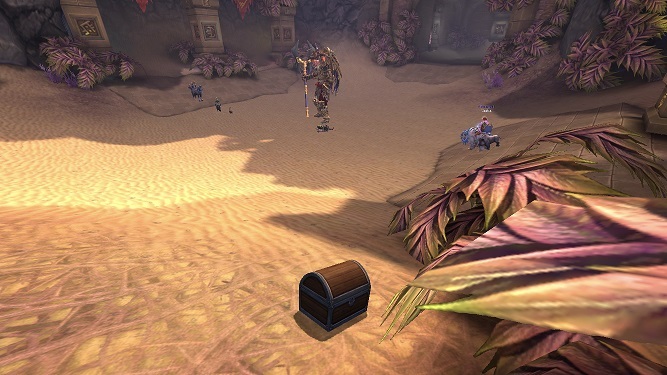 Note: We now return to the faction NPC portion of the quest chain. 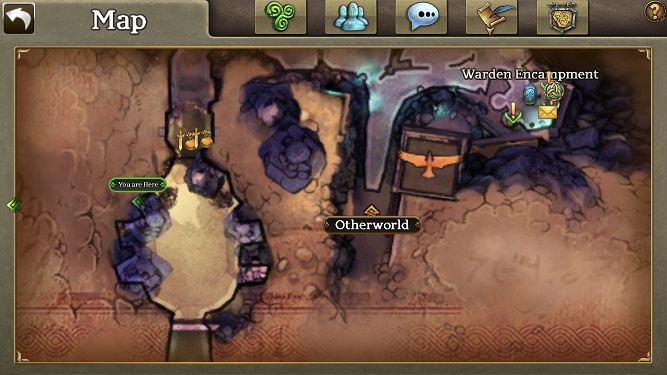 Go to your faction section and seek out the next quest. 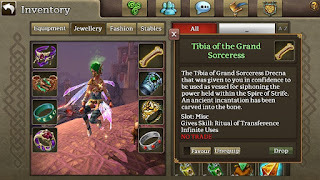 Description: Weekly Quest: Its time to cripple the Reavers by taking out their leader. Strike down High Warlord Auraxisto win favour with the Liches. Step 1: Defeat High Warlord Auraxis, leader of the Reaver Faction. 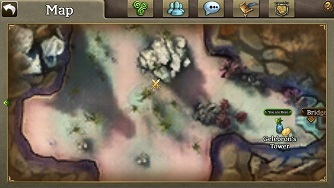 High Warlord Auraxis can be found to the Southwest of the Corrupted Gardens. Description: The Lich forces have successful formed a defensive perimeter around the Spire of Strife on the Eastern Wall, but the attacking Reaver forces have begun to complicate matters. Regroup with Grand Sorceress Drechna and acquire the Spire for the Lich. Step 1: Regroup with Grand Sorceress Drecna who has been forced to retreat to the northern rampart. Step 2: Defeat 10 Soaring Reaver Saboteurs that continue to bombard the defensive wards the Lich have conjured around the Spire of Strife. Step 3: You have bought the Lichborne time to formulate an alternative strategy by quelling the Reavers numbers, return to Sorceress Drecna for further instruction. Step 1: You have been tasked with a pivotal role in the acquisition of the Spires secrets. Approach the Spire with teh Tibia of the Grand Sorceress and recite the incantation inscribed on it. Step 2: The ritual of transference has been complete. 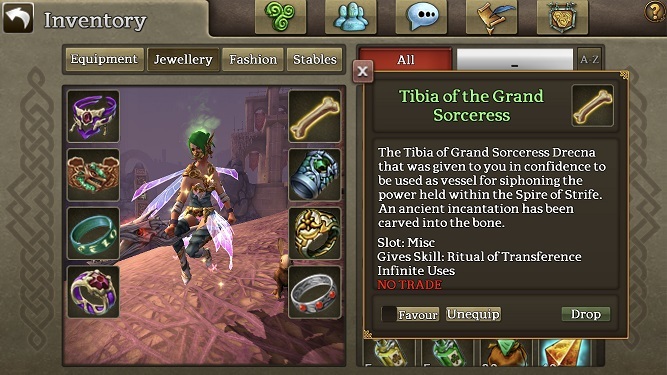 Return to Grand Sorceress Drecna with the Tibia now infused with the knowledge and power previously contained in the Spire. Description: After Ascending to new levels of power, the entire process has left Grand Sorceress Drecna fatigued, and unable to return to the Lichbourne encampment. Keep the Soaring Reaver Saboteurs at bay as she adjusts to such immense power, and learns to harness it. Step 1: Defeat 10 Soaring Reaver Saboteurs that linger in the are, and have now focused their attention on Grand Sorceress Drecna's position. Step 2: You have bought Drecna additional time to recover by quelling the number of advancing Reaver Saboteurs, return to see how you can be of further assistance.